E. L. “Butch” Butcher, Butch is a seasoned Engineer and Construction Contractor that excels on Development Projects. Butch is experienced at the entitlement and construction management of shopping centers and transportation infrastructure, Military Construction Projects, including a Utility Plant, and life cycle facility management. Butch served 20 years in the Navy Civil Engineer Corps, managing construction, operation and maintenance of Naval shore facilities, including ports, airports, utilities, transportation infrastructure, environmental cleanup operations and more. He held an Unlimited Contracting Officers Warrant, and has extensive experience in supplies and logistics. 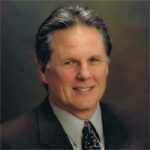 As former Apple Valley Town Engineer, he has a thorough knowledge of local agencies, organizations, public concerns, infrastructure issues and other aspects of development. Butch has a Bachelor of Science Degree in Ocean Engineering from the Massachusetts Institute of Technology (MIT) and a Master of Science in Civil Engineering from the University of Illinois. He is a Civil Engineer in California and a Mechanical Engineer in California and Washington State, holds a LEED Accredited Professional Designation and a Class A and B Contractor’s License in California.